I have prickles and sharp edges. I feel exposed in the sun. When I dance too close to the light my back burns. I wish for leaves, for something to cover myself with. If you come too close, I’ll stab you. I am a desert dweller, always thirsty, always waiting for water, for rain. You could believe everything about me is too hard, too sharp, too dry. 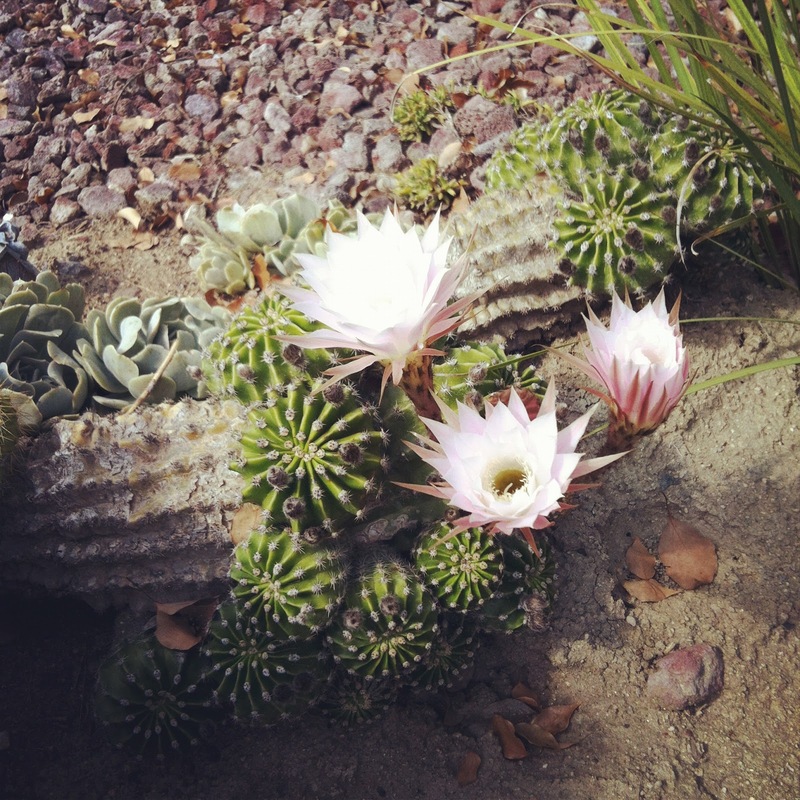 Until the God of Spiked Things reaches out His arm of audacious grace and makes a cactus flower. Until He takes a barren place and makes it beautiful. There is no other reason I am lovable. There is no other reason for a flowering cactus. He likes to make the things that are not into things that are. Spikes to flowers, dirt to man, death to life. With Him all things are possible, and He makes all things new. He is the hope in the desert. Look at you–writing from the point of view of a cactus! I once heard someone talk about the differences between the way children and adults categorize things. Show an adult a picture of a banana, and he/she will likely put it in the same category as an apple. Show a kid a banana, and he/she will probably decide that it belongs in a category with monkeys. I told my friend Ethel that story, and she said she'd probably put the banana with the monkey too. Anyway. For some reason, in my reading this week,I keep returning to the desert. I think God is repeating himself to me again, like I'm supposed to be learning something. Or something. I think I'll go eat a banana. smiles…what a beautiful truth…there is def beauty even in the most prickly…and shattered….even among the ashes…i can be a bit prickly at times as well…smiles. the rhythm of this is beautiful enough. add to that the beauty of your words, and you have some amazing poetry 🙂 love it. i am such a thinker of word pictures. and this brought to mind lots of visual images. and ended on an encouraging note. thanks so much. really. loved every bit of it. Such a great post! Thank you for the link as well, I really did enjoy her blog and love this Imperfect Prose link up! i love this! making things that are from those which are not–what a picture of creation, redemption, and great grace. I love your “here I am, until I'm not” point of view. Wow, I love your prose, girl! I am a cacti, with you! Last week it rained, this week it was 93! What can I say? this. comment. is hilarious. LOVE it Nanc! “Until He takes a barren place and makes it beautiful.” Amen and amen. Stunningly beautiful and true. Like you. This read like a poem to me, so lovely! Oh, I just love this! From the point of view, to the God of Spiked Things, I just loved this! Perhaps it's because I identify with the cactus? Thank you! I love this analogy. The cacti around here in Texas are blooming – gorgeous yellow blossoms. I hadn't thought of it in just the is way – but it's true – only the Father can take something that seems to have no redeeming qualities and make something beautiful! Beautiful….I am all elbows to ribs and sharp pieces too. i think this is my most favorite thing ever. ever. i love you. I'm so glad! I hope you link up next week Serena. You'd be a good fit! to bloom in the dry places. to turn soft where there is still the hard. just lovely. really, really beautiful descriptions. i find myself here with you. Cacti everywhere should be thanking God above for writing such beautiful words on their behalf.